Last night, my three friends (Kayleigh, Kyle, and Tiffany) and I decided to head into downtown Lafayette to hit up La Scala, an Italian restaurant that has a good community reputation of serving up delicious authentic Italian cuisine with fresh, locally grown produce. I would certainly say that the restaurant lived up to its reputation. The restaurant’s interior gave me a more rustic feeling, with the dimmed lighting and decorations. I was surprised at the size of the dining area, as it was a little smaller than I had imagined. I had placed a reservation just in case on OpenTable, and it’s good since it looked like the dining room was rather full when we arrived. We were seated promptly, and our waiter brought out some freshly baked bread and an olive oil / basil leaf blend for dipping. The menu focuses around pasta dishes, but gives you an abundance of options to choose from. 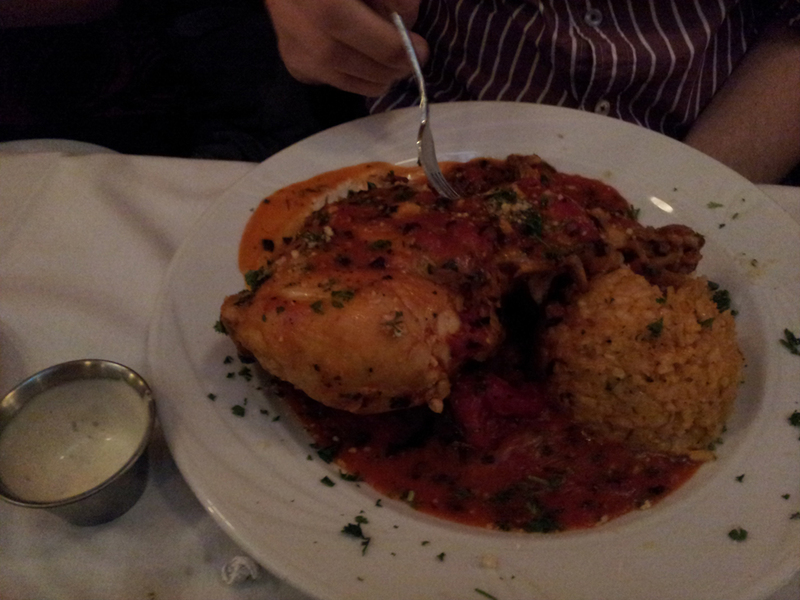 All four of us went for different dishes, and everyone said that each choice was really good. I opted for the Miguel Angelo, which was sautéed chicken, spicy Italian sausauge, spinach, green peppers, and mushrooms tossed in a white wine and marinara sauce, served over fettuccine. All of the meats were cooked really well and seasoned with a lot of flavor. From my past experience cooking Italian food, however, the sauce is usually the hardest component to nail down well. But the chefs at La Scala did a wonderful job with this white wine / marinara blend, giving an excellent balance between sweet, rich, and a hint of tanginess. It blended everything together for a really great and quality dining experience. 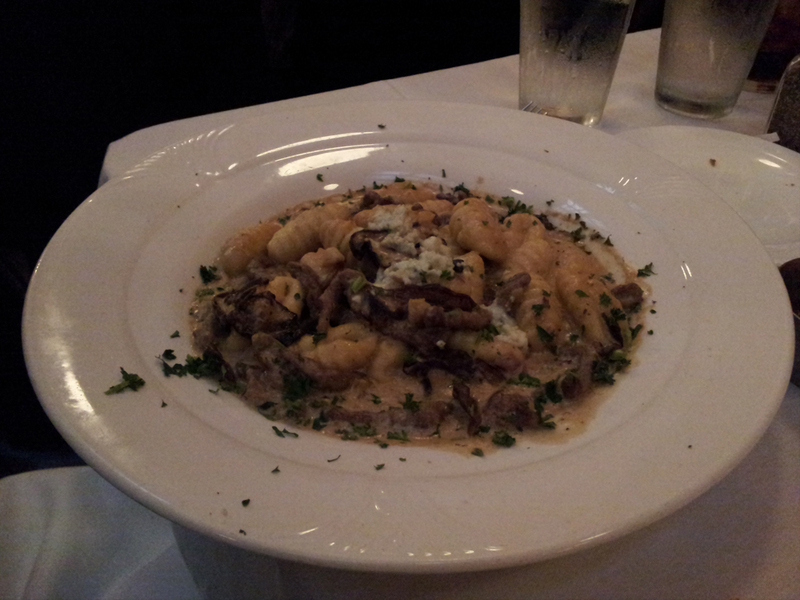 La Scala was an excellent choice for a great dinner, and certainly a choice that I would gladly make again. You can taste the freshness of their ingredients with every bite and the overall experience was fantastic. With a wide variety of dishes and fresh ingredients, their food is top-notch. Like I mentioned in the review, the rustic feel of the restaurant really added to the overall dining experience. The dining space is just a bit smaller and some tables are placed closer to you. However, they aren’t too close that it feels cramped. The service was a bit slower than expected. It took a little while between when our waiter said he was getting us our bread / salads and when he returned with them. 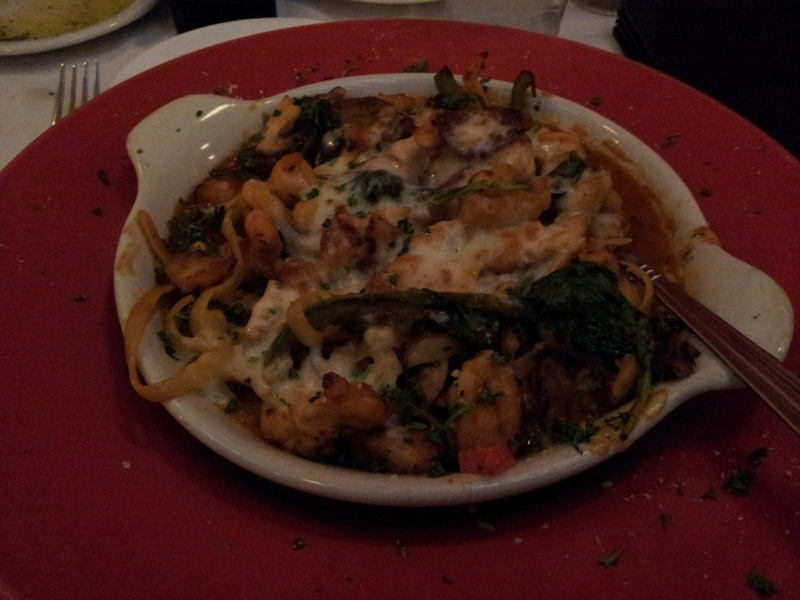 However, our waiter was very friendly and seemed to be knowledgeable about the food. For dinner pricing, I would say that the food is reasonably priced. For a college student coming here, the price could make your wallet frown a bit.